We are all aware of how important it is to keep our business safe from pests. The great cost and risks pests bring along their infestation could cause devastating demise not just to your guest health and experience, but as well as to your business reputation. Pest infestation, once ignored, could result in court actions by displeased guests, health and food contamination, revenue loss, and damage in properties. 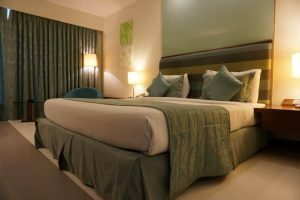 Hotel & hospitality pest infestation can occur anytime, and pests are always attracted to pay a visit especially when there’s easy access to food, the presence of warmth, and a cozy place to inhabit. Hotels are among the most ideal targets of pests. In some rare occasions, pests can also be brought in by guests themselves. The presence of pests at your facility could only mean poor and unsanitary hotel pest management condition which could disappoint guests and leave your business in great trouble. Hotels and hospitality sectors are always at risk. That is why it is important to keep up with proper hotel & hospitality pest prevention, monitoring, and maintenance to prevent any undesirable mishaps brought by pests in the future. Trusted Pest Management fully understands this dilemma when it comes to maintaining a pest-free environment for all your customers and hotel staff. Thus, we work on guarding your business against pests by providing you with the safest, fastest, and most effective hotel & hospitality pest control solutions designed to keep pests of any kind at bay and prevent them from coming back. We perform rigorous hotel & hospitality pest inspection to keep a record of pests that frequent your facilities and premises and come up with strategic plans and solutions on how to treat and eliminate them. Our lineup of pest experts is trained for years in proper pest management, consistently following Integrated Pest Control (IPC) and Environmental Pest Management (EPM) practices in all our hotel & hospitality pest control operations. All our tools and products are child, pet, and family friendly, seeing to it that all actions we take and formulas we apply don’t go beyond the suggested injury level. We also give proper advice as to what actions or general pest proofing methods you and your staff can do to avoid future pest invasion. One best way to your customer’s heart is a clean, comfortable, and a pest-free place. This means trusting all your hotel & hospitality pest worries to experts who know exactly how to solve your pest problem. Contact us for a free pest inspection today!